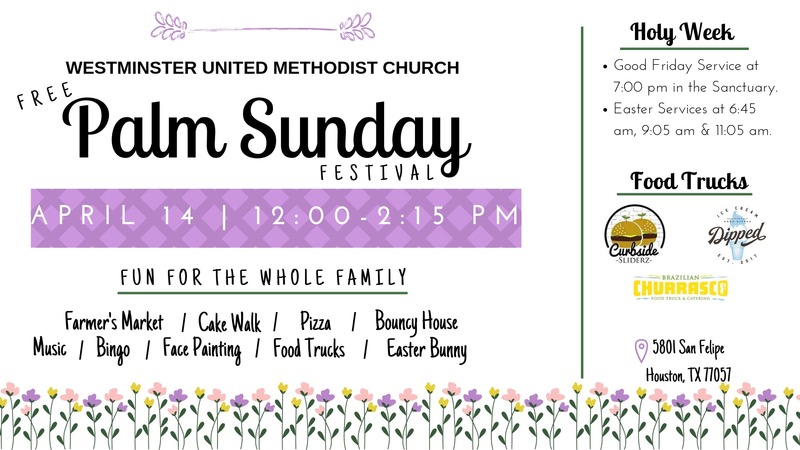 PALM SUNDAY FESTIVAL with FARMER'S MARKETOur annual Palm Sunday Festival is just a few weeks away. This is fun for the WHOLE family and is completely FREE! Everyone is invited, neighbors, friends, community!We hope to see you there.